How do you win the talent war, keep employees fully engaged, and transform your workforce for the future? SAP SuccessFactors is the integrated, cloud-based HR software that helps you unleash the full potential of your people – and drive results right across your business. While every organization wants to simplify HR processes and create a modern workplace that truly engages its employees, managing the complexity of HR and meeting the needs of today’s highly diverse, global workforce can be challenging. How can you provide a core HR system that meets the global needs of your business and engages your workforce? With the SAP SuccessFactors Employee Central solution, you can optimize HR service delivery while providing personalized experiences that improve everyday work-life. Preconfigured settings in the system based on Best Practices to enable new hire, changes and transfers, promotions and demotions, termination and rehire transactions. Preconfigured settings in the system based on Best Practices to enable the management of your total workforce including contingent workers and apprentices. Preconfigured settings in the system based on Best Practices to enable dependent management, concurrent employment, and global assignment. Benefit from preconfigured time types, time profiles, accrual rules, and more as a solid starting point for your SAP SuccessFactors Employee Central Time Off configuration. Preconfigured settings in the system based on Best Practices to enable employee to enroll in benefits, edit benefits, or claim a benefit. If the employee has no access to the system, the benefits administrator can perform these activities on behalf of the employee. Benefit from preconfigured content for company structure and position management that allows you to create and manage organizational objects and positions online with appropriate controls. SAP SuccessFactors Performance & Goals solution enables customers to implement quickly and easily comprehensive performance and goal management processes. The solution offers out of the box process implementation using best practices for goal management, performance management and 360 degree reviews. Effectively managing employee performance has never been more critical. Your organization faces fierce competition and limited budgets, and must execute with razor-sharp focus or be left behind. To succeed, you need a workforce that clearly understands the strategic business objectives and can quickly adjust course as business needs evolve. SAP SuccessFactors Performance & Goals helps your organization ensure strategy and goal alignment, continuously improve workforce performance through ongoing coaching and feedback, and accurately evaluate and recognize top talent. SAP SuccessFactors Recruitment & Onboarding solution enables customers to recruit the right talent that best fits your business needs and then onboard them with purpose. Innovate your recruiting and onboarding processes to lay the foundation for employee success, starting before day one. 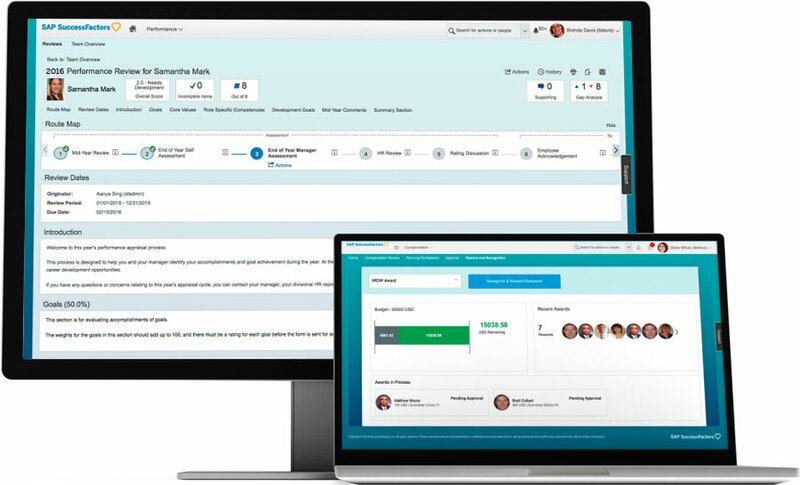 SAP SuccessFactors Recruiting helps you source, engage, and hire the world’s best talent with line-of-site analytics to provide intelligence and guidance along the entire process. Ever wonder why some employees quit after less than a year? Or why some new hires come up to speed faster than others? More than 80 percent of new employees decide whether or not to stay with a company within the first six months of being hired, and 1 in 4 do leave in the first year. An unorganized or incomplete onboarding process can cause those employees to rethink their decision to join the company just when they should be the most enthusiastic. Processes starts from sourcing a candidate and their experience from application, offer management ensuring that recruiting gets the best talent in the door effectively and quickly. Make onboarding a strategic part of talent management by empowering new hires and internal transfers to ramp up and contribute to corporate goals quickly. Provide engaging, meaningful experiences that are aligned with talent processes such as learning, goal setting, recruiting, and core HR processes. 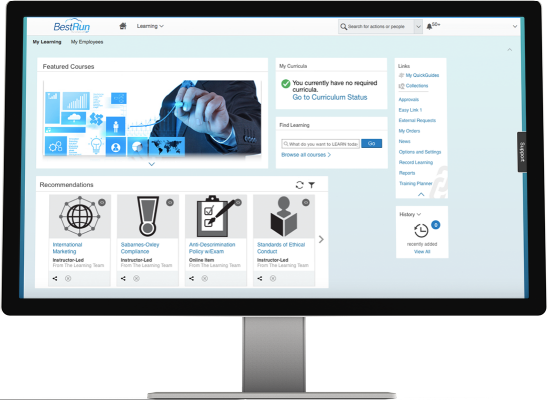 SAP SuccessFactors Learning solution enables customers to Inspire a culture of continuous learning with accessible, relevant, and personalized training so you can develop the talent needed to improve organizational strength. Improve business results, boost productivity, and increase organizational competitiveness with a learning solution that allows you to develop leaders, assure compliance, and train external audiences; Improve business agility through development and succession planning; Give employees who use SAP solutions access to the training they need – anytime and anywhere. Simplify the creation and deployment of context-sensitive user help. 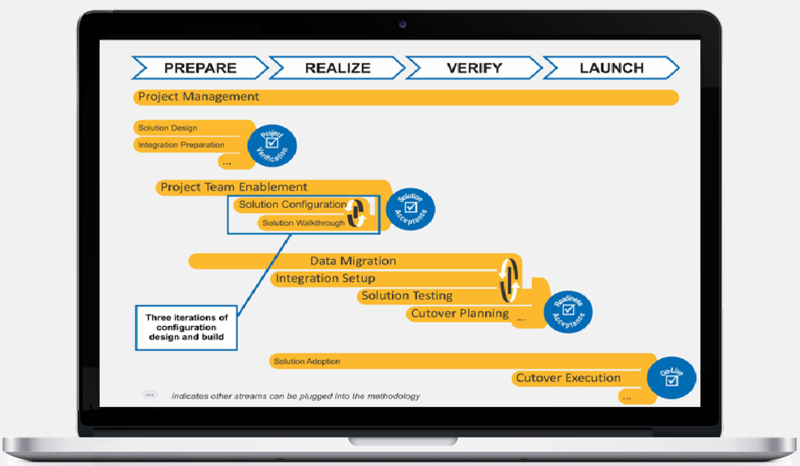 How do we implement SAP SuccessFactor Cloud Solutions?